I have been fighting a bad cold and wisps of the flu since returning from Calgary. In fairness to my nephew, who also was under the weather when we were down there, I was feeling waves of something nasty even before heading the Cow Town. I believe that my adrenalin kept everything at bay until this week with the work and painting pressures began to subside. Good Friday was a feverish kind of day, my temperature going up and down. "I will nap a lot," I said to Heather as I headed out the studio to begin the day. 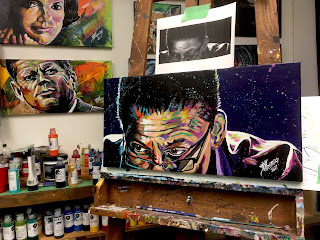 I finished the portrait of Herbie Hancock I had started the night before, then came in for my first nap. 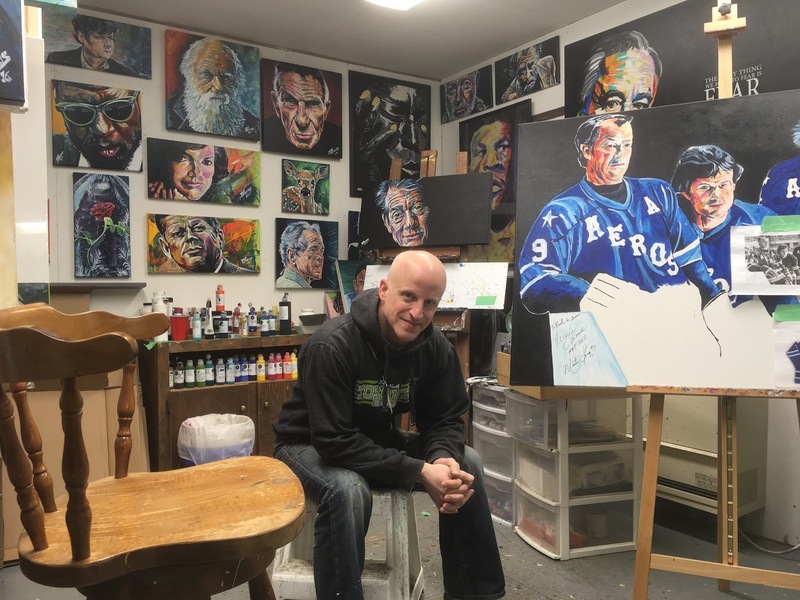 Then I went out to the studio to work on the big painting of Gordie, Mark and Marty Howe. Another nap followed. Then I applied quotes to both the Sir John Hurt and Walt Disney paintings, followed by another snooze. After a healthy dinner I went out a final time to do more work on the painting of the Howes and sketch out a small project I need to do this morning. I don't know if my work ethic makes me stubborn or stupid. The fact is that I very easily could have spent the day in bed reading my book, sipping tea and sleeping. 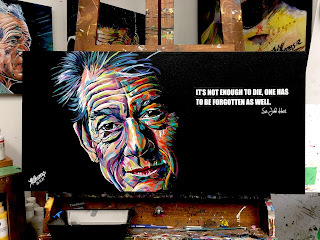 However, something keeps me moving forward. I got a lot of stuff done despite the fact I was not feeling very well. I'm hoping for another productive day today.....with lots of naps mixed in for good measure.